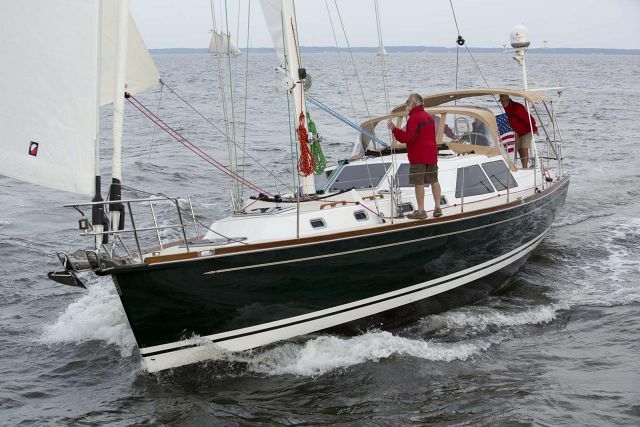 The Tartan Yachts 4000 Sailboat boasts traditional styling and classic appeal, but with the advantages of modern construction techniques and materials. 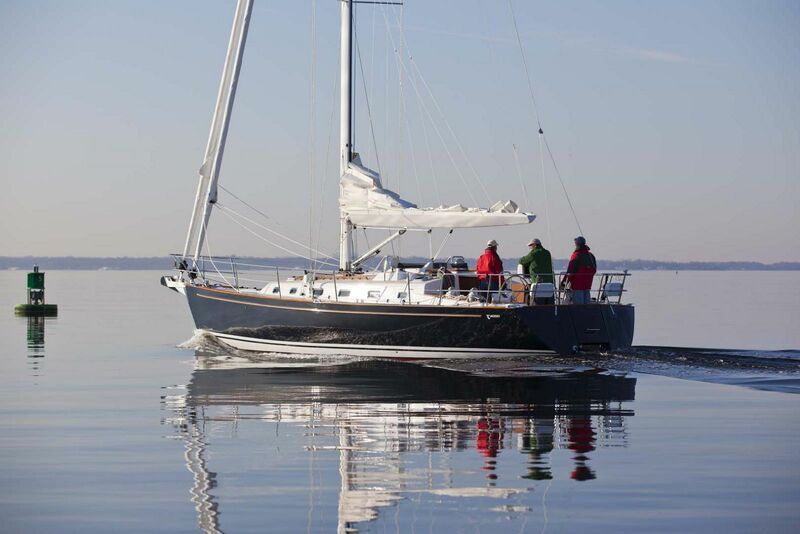 Described by judges from Cruising World Magazine's 'Boat of the Year' as "stiff, fast, weatherly, and fun" the Tartan 4000 delivers the performance that sailboat owners desire. 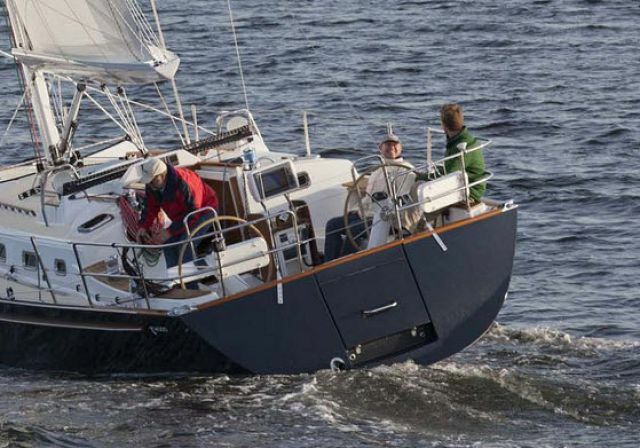 Whether sailing in a competitive club or enjoying a coastal cruise, the versatile design of the Tartan 4000 will simply shine. 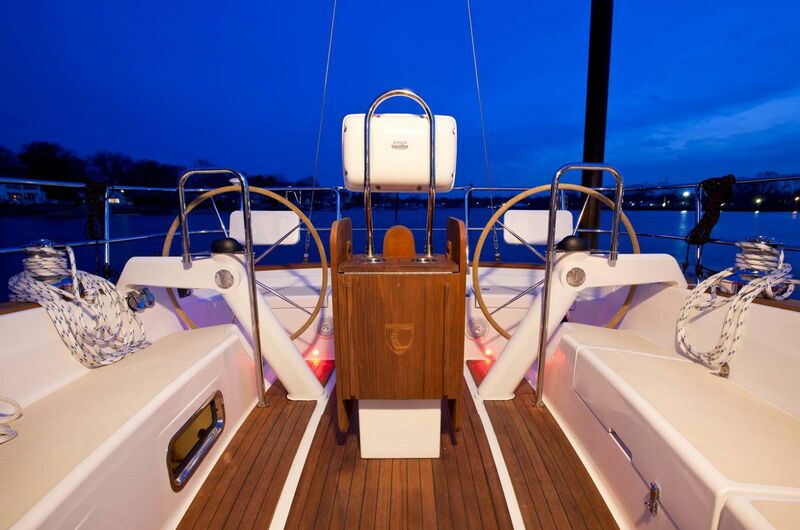 The standard carbon mast and pocket booms are a popular addition that provide safety at sea. 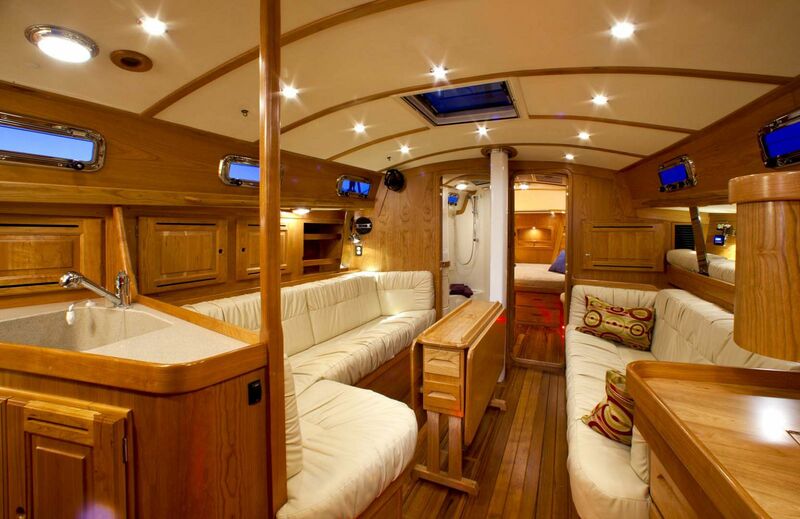 The vacuum infused hull laminate is done in a single process with all components in place rather than bonding each layer separately like other builders. 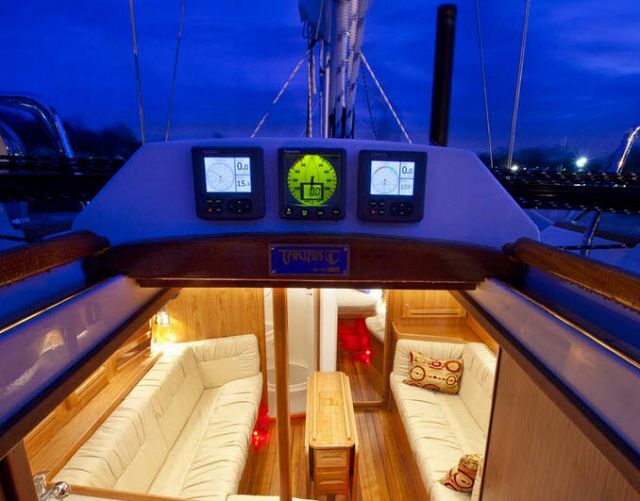 This produces a singular primary bond among the laminate components rather than the weaker multiple secondary bonds between cured laminate layers produced by traditional polyester construction. 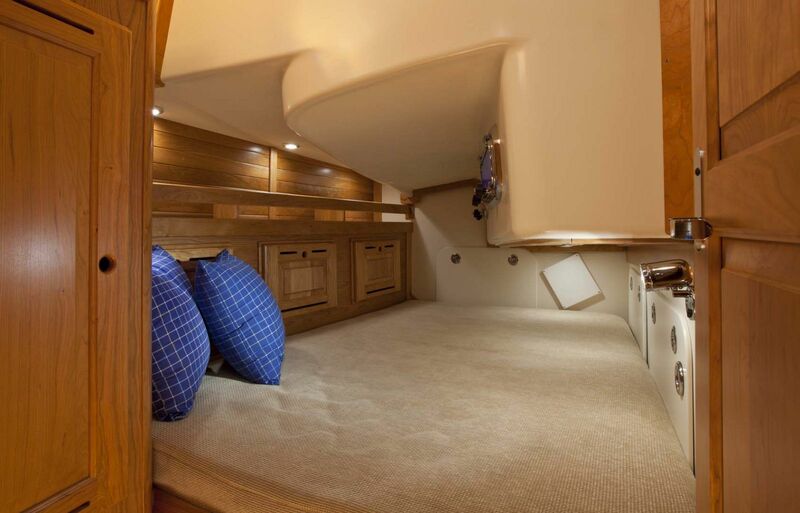 This process consolidates the laminate into a void free matrix and produces the optimum strength to weight ratio in a composite laminate. 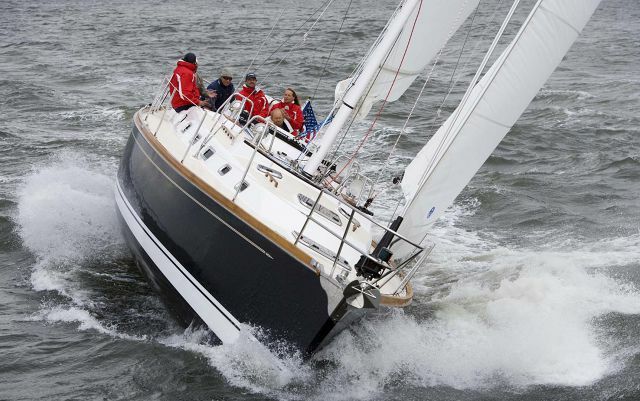 This is critical factor in determining both the speed and stability of the yacht when it leaves the dock. 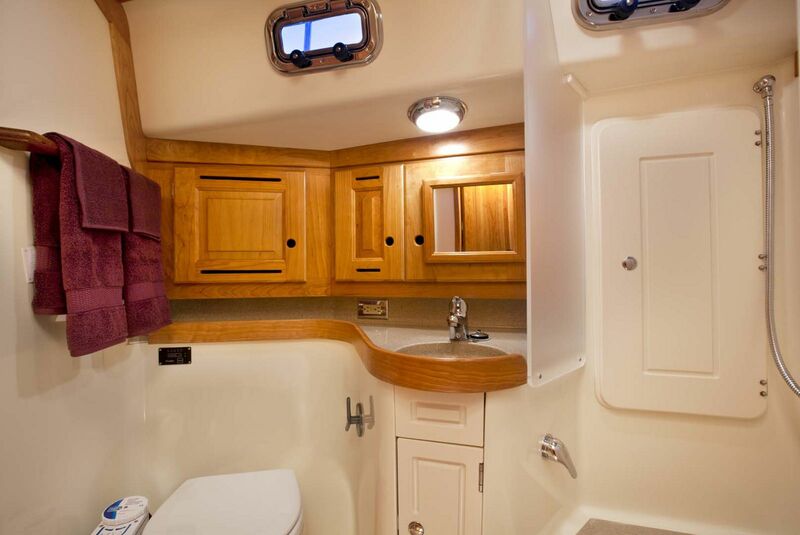 The owner’s cabin is behind the chain locker and watertight bulkhead and features tongue-and-groove woodwork, a centerline queen berth, and a head with a separate stall shower. 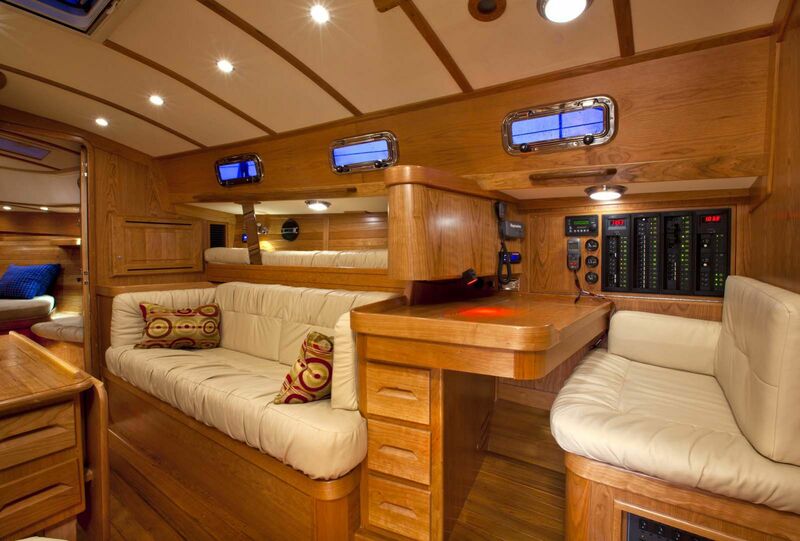 The social center of the interior is the main cabin which features lots of comfortable seating options as well as a drop leaf table and lots of cabinets for storage. 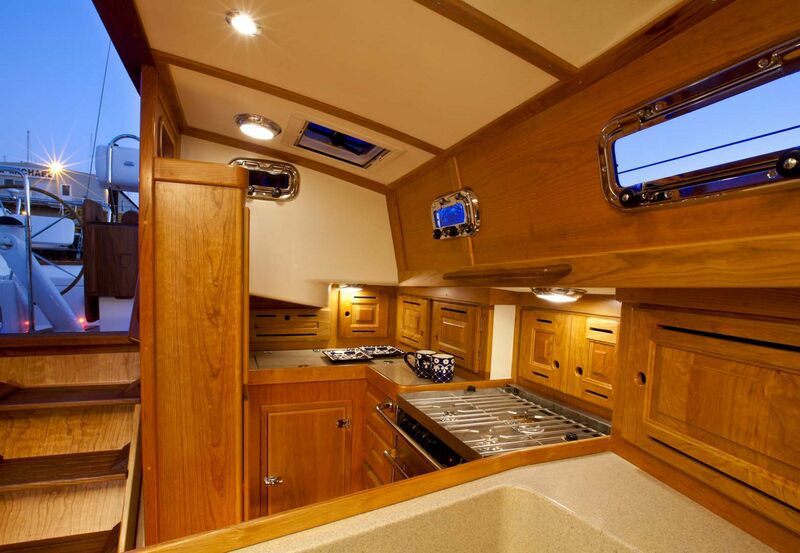 The galley is well thought out and has extensive counter top space as well as the very best in appliances to keep everyone on board fed and happy. 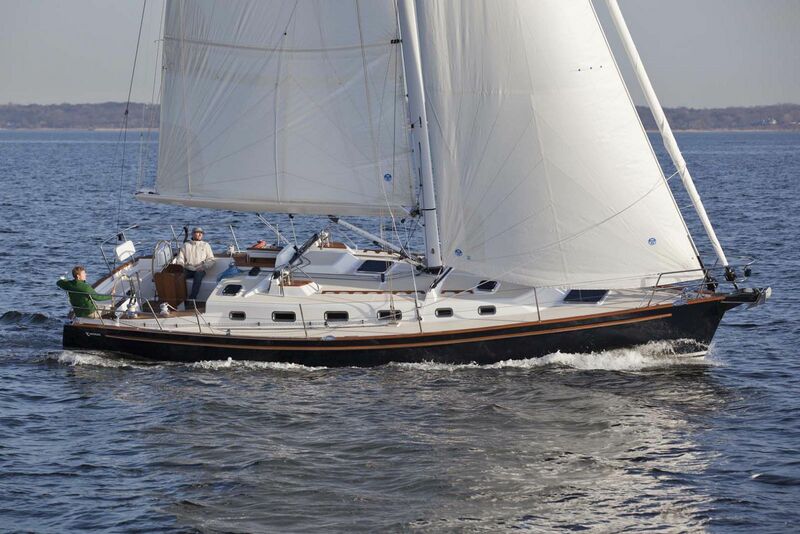 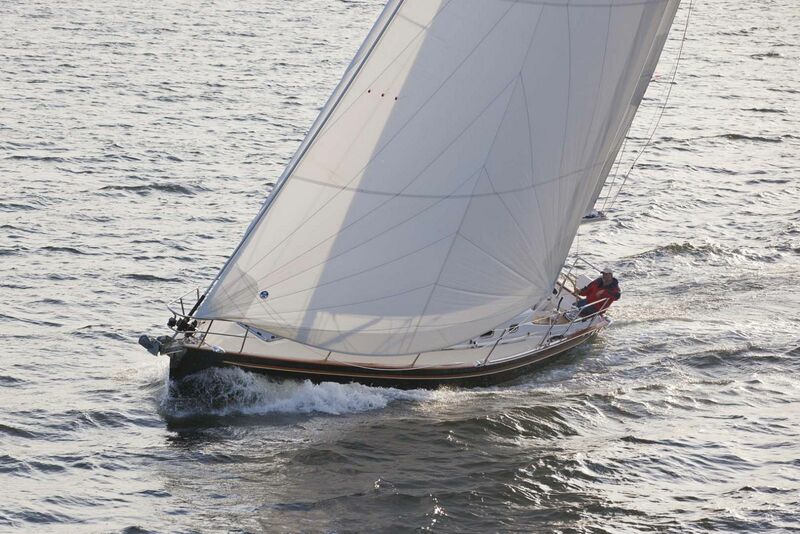 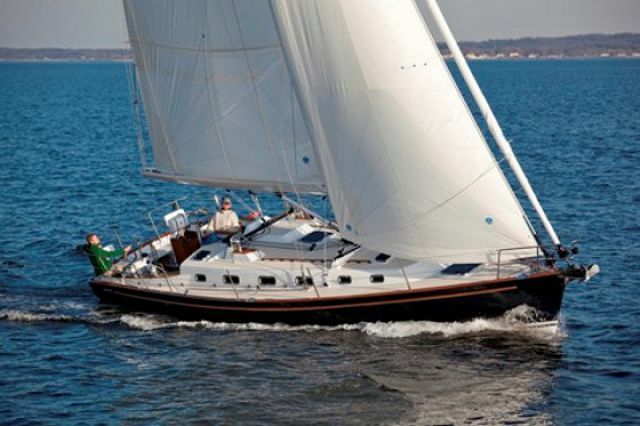 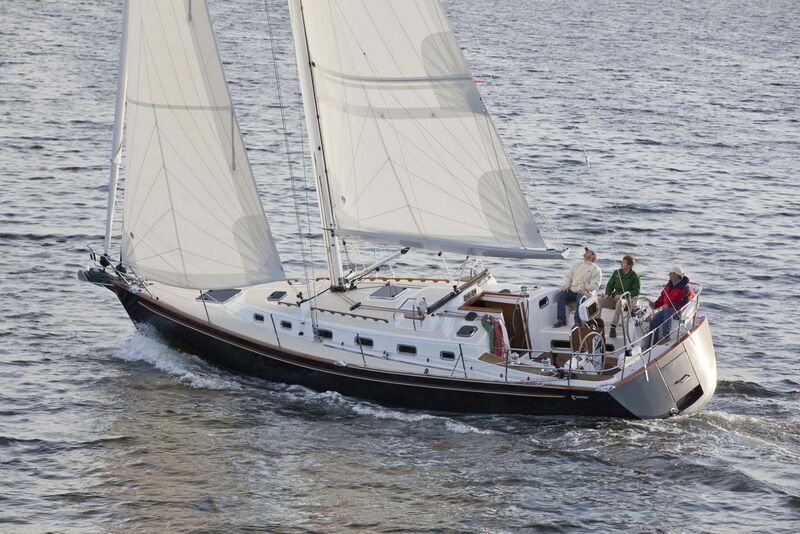 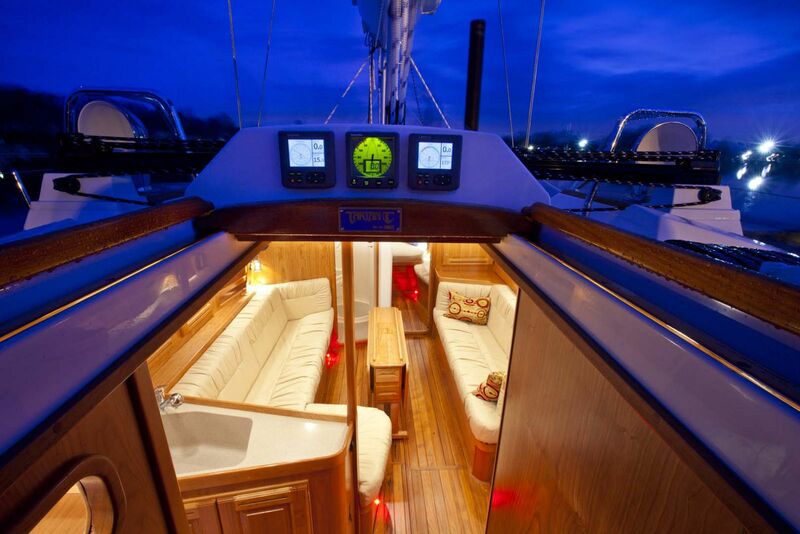 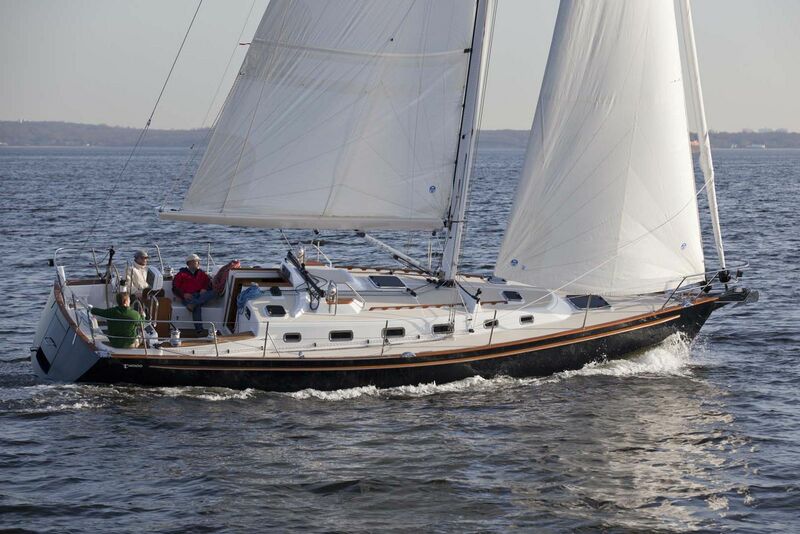 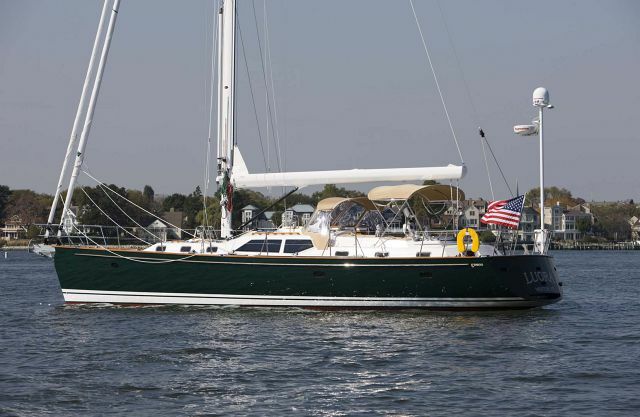 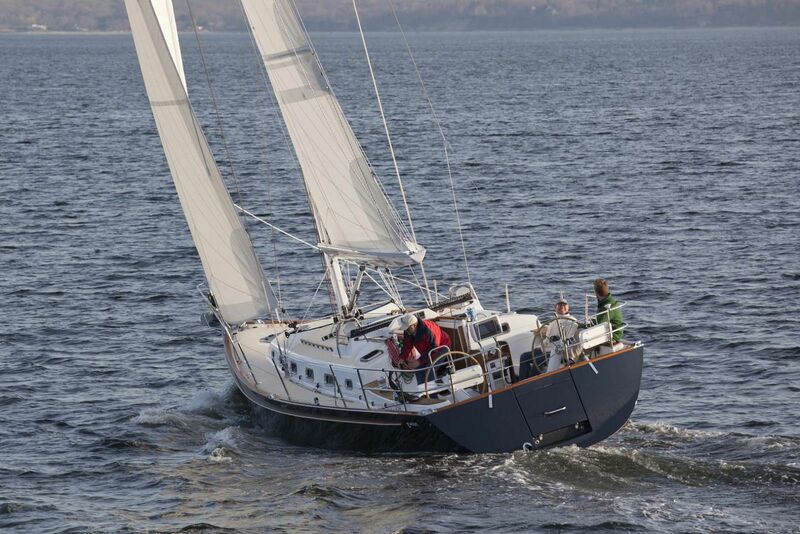 For more information on the Tartan Yachts 4000 Sailboat, please contact your Seattle Yacht Sales Professional today. 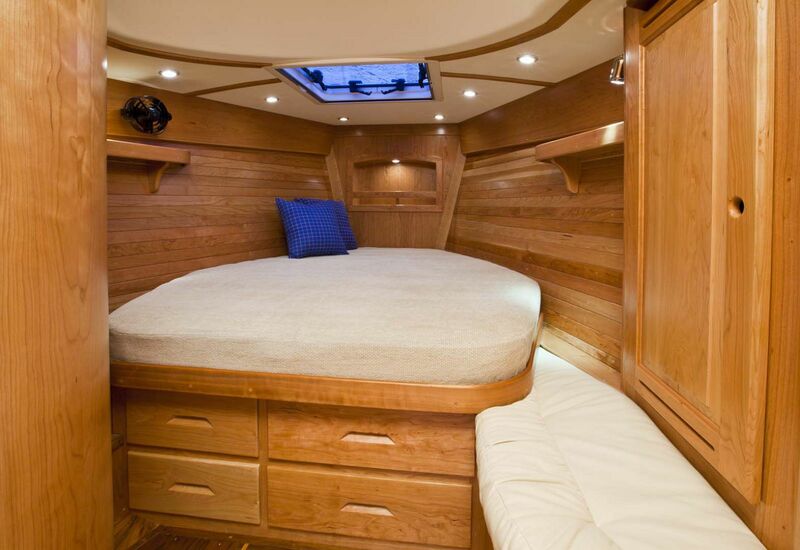 With its dark-blue hull, a white, low-profile cabin, and solid bulwarks sporting teak rubrails and toerails, the many elements of the 4000 blend together with traditional good looks.